But, make sure it’s reef safe. Reef safe sunscreen is so important, and you can read more about that in my post, where to find reef safe sunscreen. Even if you don’t tend to burn, bring sunscreen or rash guard clothing. Trust me. The sun is different in Hawaii than what you’re used to, it’s right on the equator and it’s intense! 2. Stay as long as you possibly can. If you can stay for two weeks – do it! If you want to visit multiple islands, I recommend staying at least 5 days on each island. One week per island is even better. 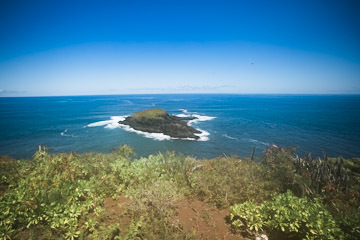 There is so much to see in Hawaii, and so much to see on each individual island. Make sure to plan adequately to allow you to see as much as possible. Items tend to leak on airplanes, so make sure any liquids in your carry on or checked bags are sealed properly. One little travel hack is to put a little plastic wrap on the top and then close the lid. 4. Make sure to follow TSA rules. Make sure to check the TSA website for prohibited items. Items like knives nail files and knitting needles are not allowed in carry-on luggage. Corkscrews are also not allowed, ask my husband about that. The weight limit on checked bags is 50 pounds. Try weighing yourself with and without the bag to figure out the weight of your bag. 6. Don’t get left with no access to your money. It’s never a bad idea to contact your bank and credit card companies to let them know that you’ll be traveling to Hawaii. 7. Carry a little bit of cash. Most businesses in Hawaii do accept Visa and Mastercard. Some smaller businesses are cash-only, and it’s always good to keep some cash on hand for tips. Tipping in Hawaii is the same as any other U.S. state. Tip a minimum of 10% at restaurants and consider more for excellent service. Tipping housekeeping, tour guides, and valets is also standard. 9. No all-inclusive, but that’s okay! There are no all-inclusive resorts in Hawaii, but that’s okay! It can be great to get away from the resort and do some exploring. If you want an all-inclusive resort, save the money on a plane ticket to Hawaii. There are plenty of great all-inclusive resorts in Mexico and the Caribbean. If you want an all-inclusive-like experience, consider a Hawaii cruise! On the cruise, your meals (and possibly drinks) will be included. There is one cruise that explores all 4 islands in just 7 days, so that can be a great way to experience the islands for the first time. Contact me for more information. Bring a bathing suit. Even if you haven’t worn a bathing suit in years, bring one! In fact, you might want to bring two or three. One to wear, and one to dry, and maybe an extra just in case. You can also bring one and buy one, Hawaii has so many options for buying swimsuits. 11. Don’t stress if you forget any small, essential items. Most condos are fully stocked with almost anything you need. Essential items may also be available at resorts. If nothing else, you can stop by an ABC store or Whalers General Store to purchase any small essential items. These stores also have cute souvenirs, although they’re most likely not made in Hawaii. Check out the Farmer’s Markets for locally made goods. Most of the islands also have stores like Wal-Mart and Target for small essentials like shampoo, snacks, etc. 12. Make sure to bring chargers for all of you devices, including your camera. It’s always good to bring an extra SD card too. There are so many great spots for photos in Hawaii, you don’t want to miss anything. Speaking of cameras, I would definitely recommend buying a GoPro. Most places rent GoPros but it’s nice to have your own. 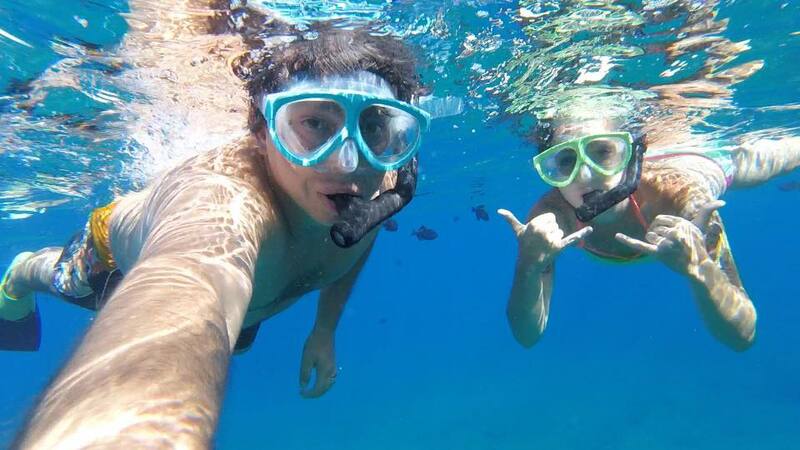 The GoPro is great because you can use it for snorkeling, biking, ATV rides, and so much more. 13. Speaking of devices, remember that Hawaii is hands-free behind the wheel. That means put down your cell phone. You’ll also want to wear your seatbelt for safety and to avoid a hefty fine. 14. Plan to bring more items back than you came with. You can always bring an extra bag, or just buy one in Hawaii. 15. You can’t bring your pets to Hawaii. I know, it’s sad, but you can’t do it! Make sure to make other accommodations for your pets while you travel to the islands. 16. Hawaii has planned the use of plastic bags. I recommend either bringing your own small foldable reusable bags (bonus: you can bring souvenirs home in them!) or purchasing reusable bags on the island. We love our reusable Hawaii-print Target bags. We use them all the time wherever we are. 17. Attire in Hawaii is very casual. There are only a handful of restaurants that will require you to dress up. Almost everyone wears shorts, sundresses, and flip-flops (slippahs/slippers) regularly. 18. Remember the 3-1-1 rule for liquids in your carry on. It’s better to put liquids in your checked bags. If you’re a light packer like me and not checking a bag, make sure to purchase some small bottles to carry your liquids. I use this set from Amazon. Also remember that most resorts, condos, and hotels will supply shampoo, soap, etc. If you want to bring your own, make sure to follow TSA guides. More detailed information can be found here. A lot of land in Hawaii is sacred, make sure to treat it as such. It’s also important to remember to avoid any jerk-tourist behaviors like trespassing, stepping on the coral, general rudeness, littering, etc. Just be a decent person and you’ll be fine. I know that you will read some advice saying that you don’t need a car on Oahu, but I disagree. The island of Oahu is beautiful and there is so much to be seen beyond Honolulu and Waikiki. Yes, the bus system on Oahu is pretty good, but it’s so much better to be able to travel around your own schedule. Any rental car should be just fine. On all other islands, you will definitely need a rental car. I wrote a post all about why you should rent a car in Hawaii, so go check it out for more information. Should you rent a Jeep? I recommend renting a Jeep on Hawaii island (the Big Island.) On Hawaii Island, there are lots of places that you won’t be able to access without a 4-wheel drive. 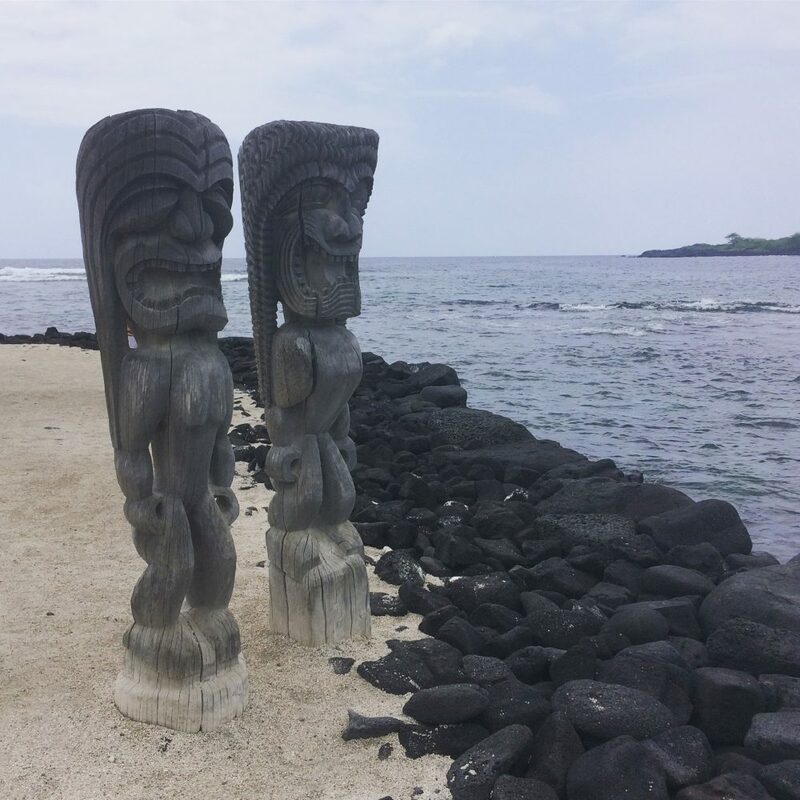 Check out my top 7 best things to do on the Big Island for more info. If it’s within your budget, I would also recommend renting a Jeep on Kauai. It’s not as necessary, but there are some spots that are easier to access with a 4-wheel drive. Do remember that some spots in Kauai are inaccessible with any vehicle. 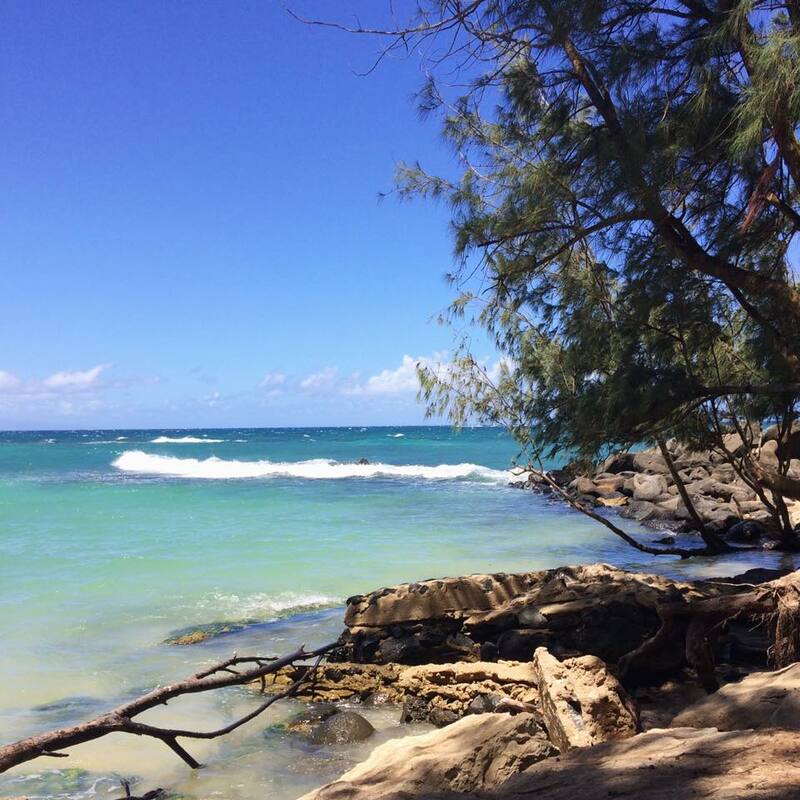 You can also read my top 10 best things to do in Kauai for more information on Kauai. In Maui, I recommend renting a car. If you want to do something fun, rent a convertible. We drove the Road to Hana and the back way from the Road to Hana with a car. 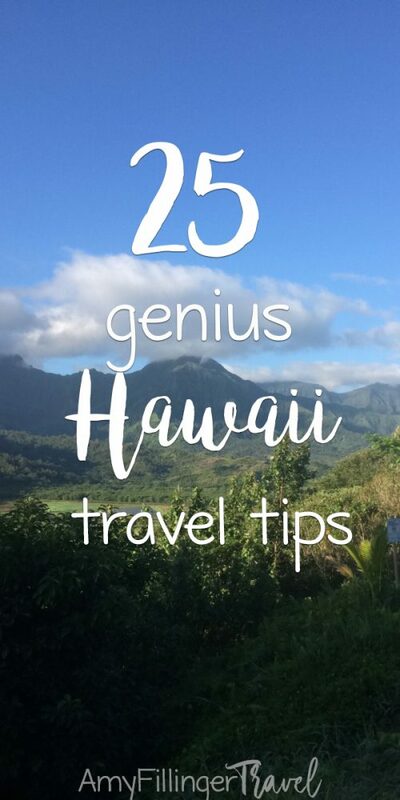 Planning a trip to Maui? 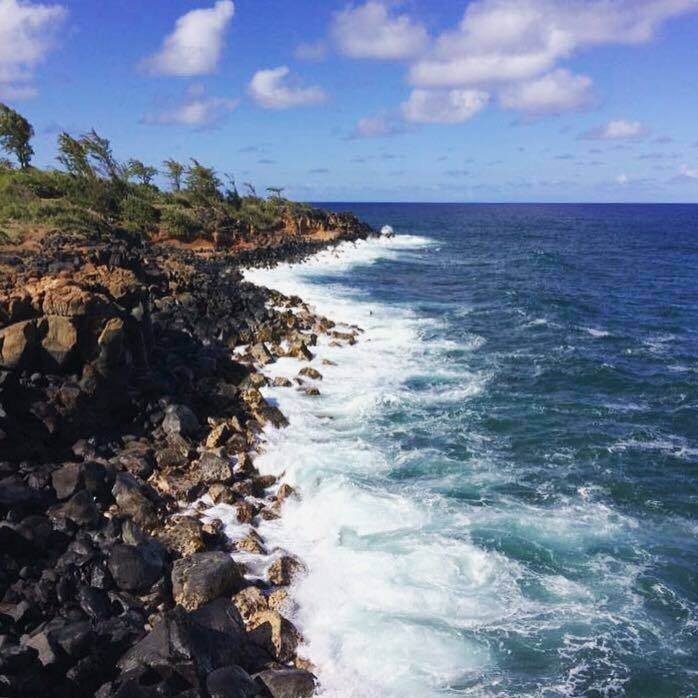 Check out 7 things to do in Maui. 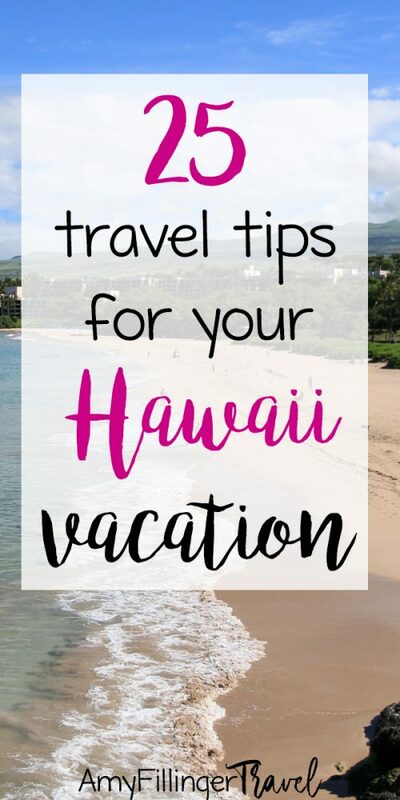 I believe that it’s best to plan your vacation to allow you to experience as much of Hawaii as possible. That being said, it’s great to plan for some downtime! 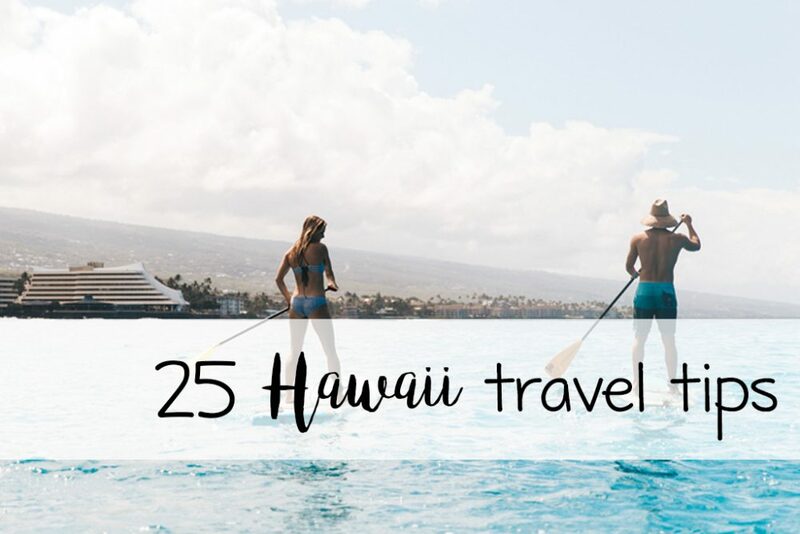 Plan to spend a day browsing local farmers markets, swimming or just spending time on the beach, interacting with the locals and just appreciating the aloha spirit. 22. Buy some snorkel gear. 23. Don’t take the lava rocks – it’s bad luck! 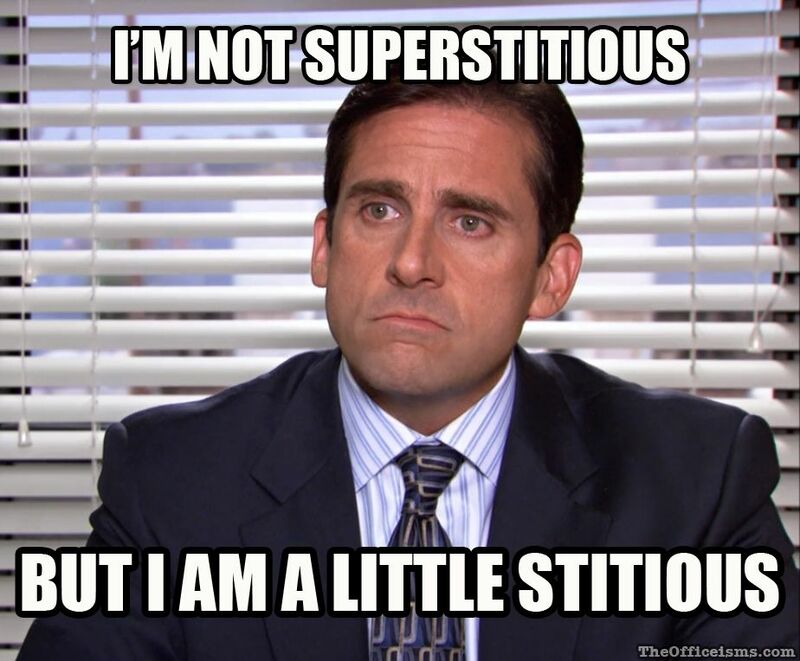 Maybe you’re not superstitious, but are you a little stitious? Sorry, Office joke. Anyway, taking lava rock from their natural place is considered a no-no in Hawaii. Tourists have actually been known to mail back their lava rocks saying they’ve had an unusual streak of bad luck lately. Don’t say I didn’t warn you! 24. Prepare to make many return trips. There’s no way you’ll see everything that you want to see the first time you go to Hawaii. Plan to fall in love and return again and again. 25. Work with a travel agent! Planning a Hawaii vacation can be stressful, especially if you’ve never visited before. It can be hard to figure out which island to visit, where to stay, and what to do. A travel specialist can help with all of these things. If you’re wondering about the other benefits of working with a travel agent (hint, saving time, saving money, etc) check out my post on why to work with a travel agent. 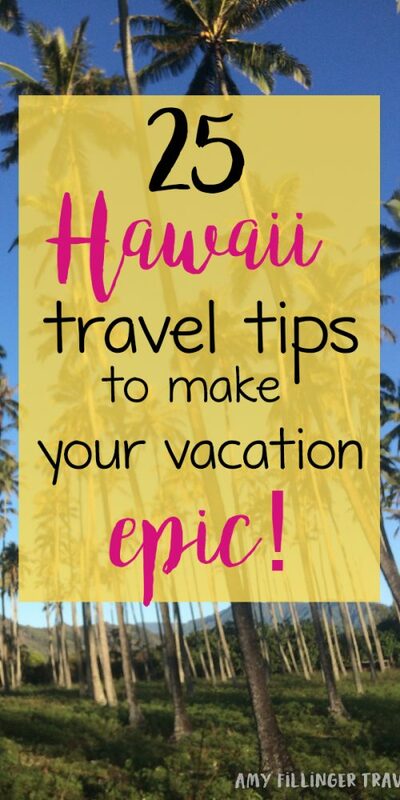 I hope that these 25 Hawaii travel tips will help you plan an epic vacation. If you want to remove the stress from planning your vacation, I’d love to chat with you! You can set up a time for me to call or send an email here. If you loved this post, I would love it if you shared it on Pinterest!